Are You A Cat Person? Because This Café Is Purrfect! It’s the cat-chiest place in town. 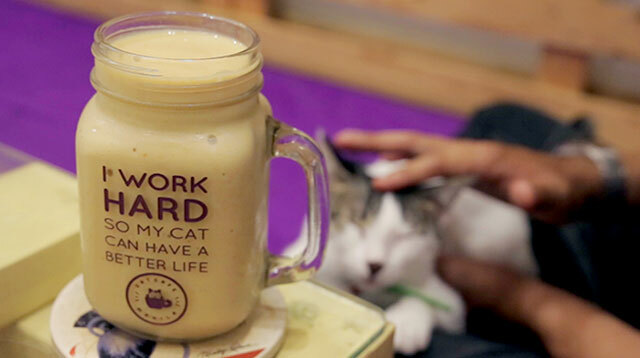 Actually, you don’t even have to love cats to enjoy a trip to Cat Café Manila. A little boy remarked, “I thought it was going to be scary and terrible but then I loved it!” That’s because Cat Café’s accommodating staff really takes the time to help you feel at ease around their feline friends. These pusang Pinoys are in need of loving homes and Cat Café is working hard with CARA (Compassion And Responsibility for Animals) to make sure that happens. Not sure if you want to adopt? That’s okay! You can stick around and play with the adorable kitties while you indulge in their sinful Meowcha Cupcake. Check out Cat Café Manila's Facebook and Instagram for more information.